Alexis Sanchez is finally starting to show signs he can replicate his best Arsenal form at Manchester United – according to his former Gunners manager Arsene Wenger. The Chilean has endured a turbulent time in his 10 months at Old Trafford after arriving in a swap deal for Henrikh Mkhitaryan. Reports of the star’s demise and struggles at United have led to reports the club are looking to offload Sanchez – while the star’s reported £500,000 a week wages are also said to be causing United struggles in their efforts to tie down Anthony Martial and David De Gea to new deals. 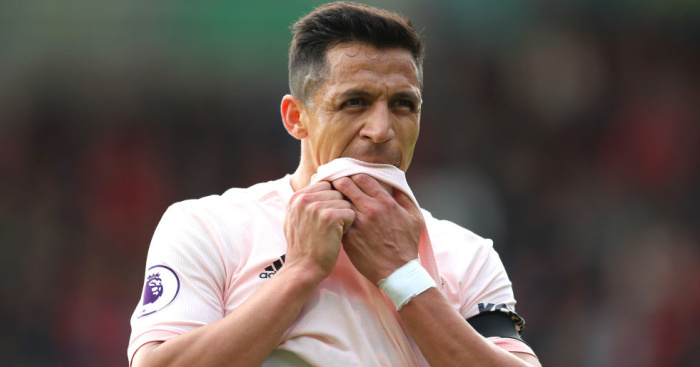 But Sanchez appears to have turned a corner at United having started the last three matches more centrally in the absence of Romelu Lukaku – a fact our readers were keen to highlight – and Wenger believes the club may finally be starting to see what the Chilean is all about. And the Frenchman, while admitting Sanchez has struggled, believes Jose Mourinho?s decision to take him out of the firing line a month ago has paid off. ?It is the question that he has raised with his performances,? Wenger said on BeIN Sport. ?I believe he has lost confidence. ?The strength of Alexis Sanchez is to take initiative, to dribble, to take people on. ?These kind of players are most vulnerable when they have no confidence anymore because their game is based on confidence and feeling free to take initiative.